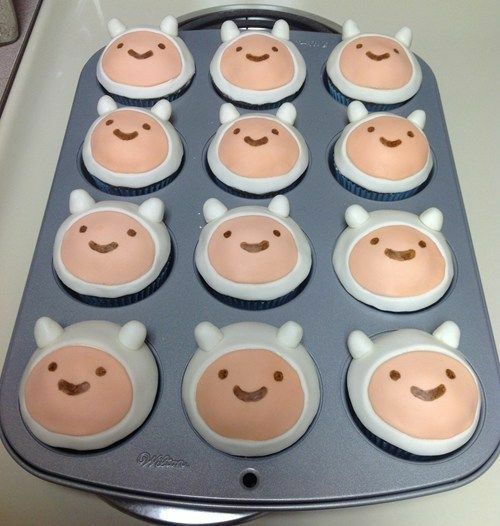 Finn Cakes. . Wallpaper and background images in the hora de aventura club tagged: adventure time finn finn cakes cupcakes in your footsteps baking. This hora de aventura photo might contain magdalena. ^ Ehem....FINN ONLY. Your username may be 'True-Finn-Fan' but that still doesn't make you Finn, does that? NO! HOW CAN FINN NOT GIVE U SOME? ^i think we've established that.